Take the bike road home. 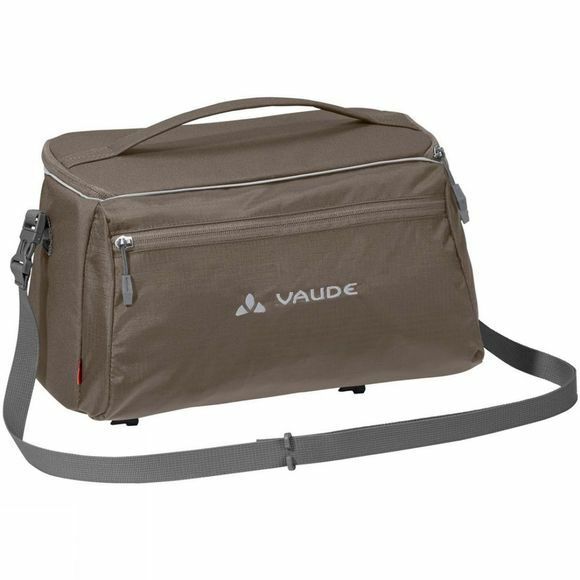 This large Road Master Shopper Bike Rack Bag from Vaude comes in a classic look and is made from a combination of lightweight and durable materials certified in accordance with the strict bluesign environmental standard. A large opening gives you easy access to the roomy main compartment with organiser pockets. 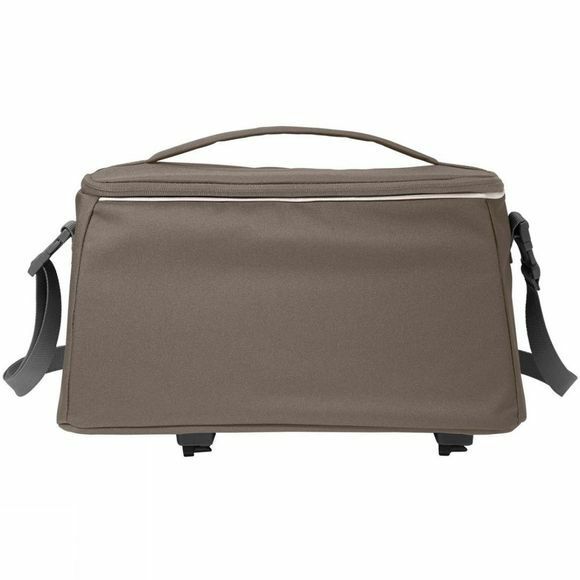 This sturdy bag can be securely attached via Snap-it adapter to all Racktime gear racks, and just as easily detached when needed. It also comes with a shoulder strap if you want to carry it over your shoulder. Reflective stripes all around ensure high visibility in traffic and low light conditions. Comes with raincover.